Copy and Paste to and from a Text file in Command Line in OS X – yes, this is why we have the option in Syntax Highlighter to make it plain text or copy to clipboard! That is the basic reason to make the Syntax Highlighter Plugins a bit heavy – small point, but increases the speed of work! Even if you do not need this usage, but definitely you will be interested about our Copy and Paste to and from a Text file in Command Line guide, because – simply we need it! 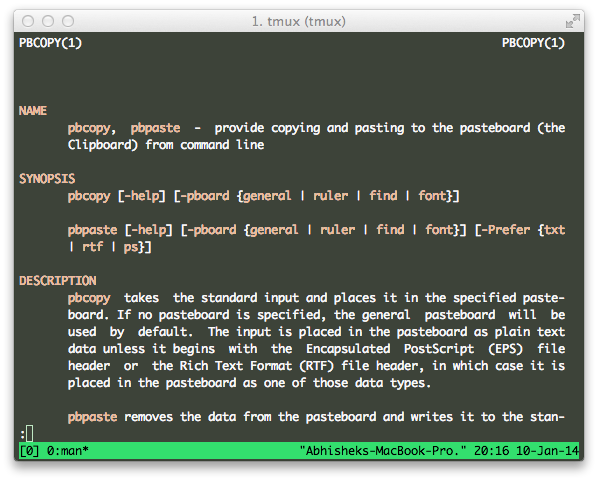 Copy and Paste to and from a Text file in Command Line in OS X – Means, it has two parts (i) Copy from TXT or (in case it is applicable) Clipboard to CLI and (ii) The reverse – dumping the output to a Text file. We are not going to the basic details of UNIX, Command Line Etc. – you can search our website to get most of them. Actually, you will get all the methods in UNIX command references, GNU Linux References and on Apple Docs. Several way exists. Actually, UNIX per se doesn’t have a clipboard. Some editors or GUI interfaces support the above things (Apple’s in our case). This is actually a big chapter itself. We will discuss it in details in future. We can copy paste dot files from repo like Github in this way. This Article Has Been Shared 6002 Times! Ethernet is a technology for wired data networks similar to LAN and enables data exchange in the form of data packets between LAN connected devices. Cite this article as: Abhishek Ghosh, "Copy and Paste to and from a Text file in Command Line in OS X," in The Customize Windows, January 10, 2014, April 26, 2019, https://thecustomizewindows.com/2014/01/copy-and-paste-to-and-from-a-text-file-in-command-line-in-os-x/.